Delicate Arch is formed of Entrada Sandstone. The original sandstone fin was gradually worn away by weathering and erosion, eventually leaving the arch. Other arches in the park were formed the same way but due to placement and less dramatic shape are not as famous. 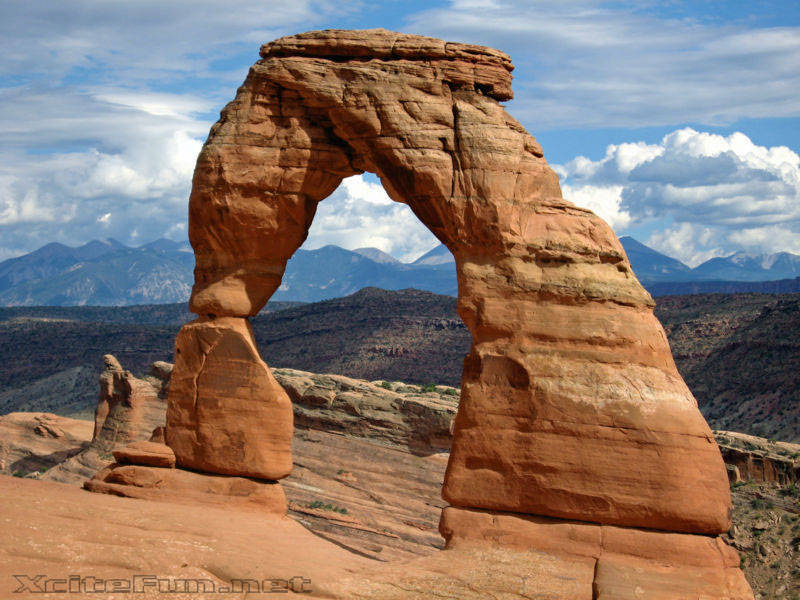 Delicate Arch can be found in Arches National Park in the Utah in the United States. 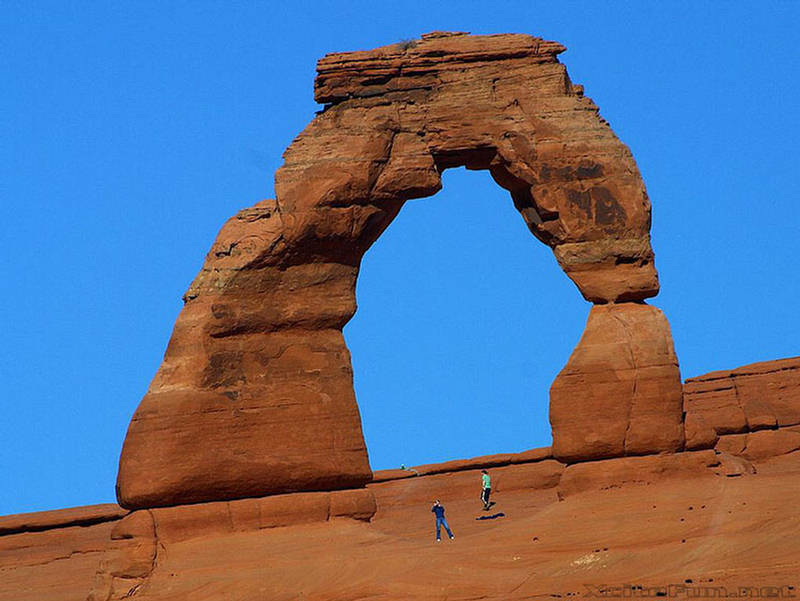 The arch stands alone at a height of 52 feet and is considered one of Utahâ€™s most important landmarks. In 2002, the Olympic torch passed through this arch to mark the beginning of the winter games. Because of its distinctive shape, the arch was known as "the Chaps" and "the Schoolmarm's Bloomers" by local cowboys. It was given its current name by Frank Beckwith, leader of the Arches National Monument Scientific Expedition, who explored the area in the winter of 1933â€“1934. 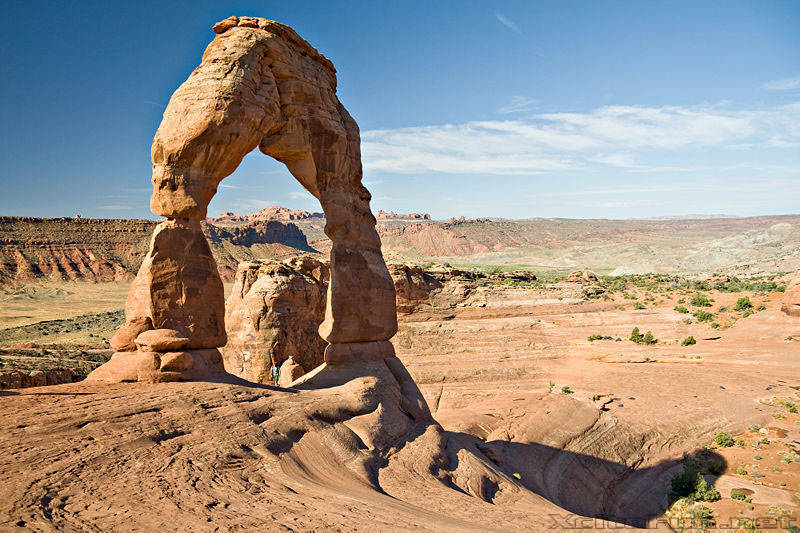 The story that the names of Delicate Arch and Landscape Arch were inadvertently exchanged due to a signage mixup by the National Park Service is false. The arch played no part in the original designation of the area as a U.S. National Monument in 1929, and was not included within the original boundaries; it was added when the monument was enlarged in 1938. In the 1950s, the National Park Service investigated the possibility of applying a clear plastic coating to the arch to protect it from further erosion and eventual destruction. The idea was ultimately abandoned as impractical and contrary to NPS principles. Such a pretty sharing! 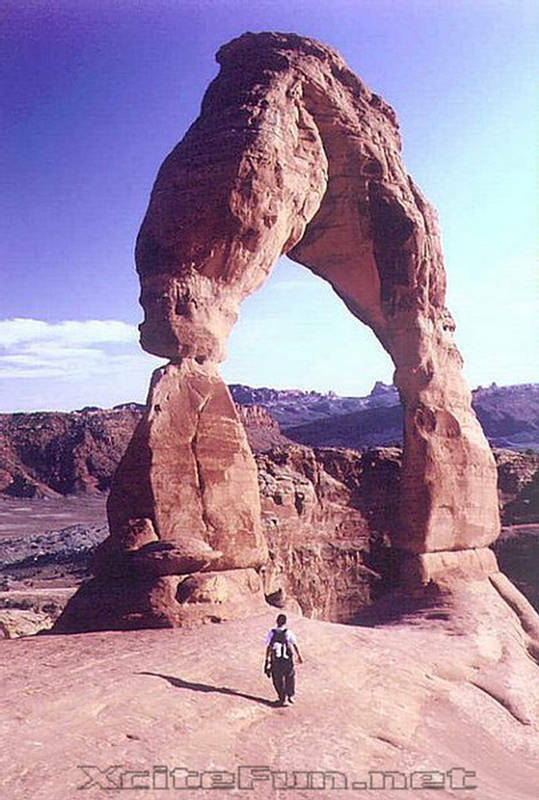 Arches National Park is really a cool attraction for the visitors. It attracts the visitor due to its natural beauty. I had a chance to go there almost 3 years ago with my college trip and found this park a worth visiting place. It is the center of attraction in summer because it offers amazing summer activities such as camping and hiking. 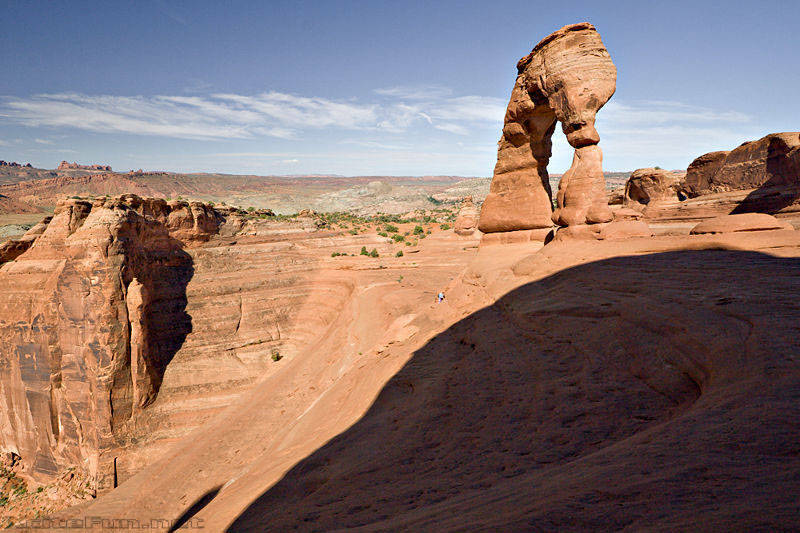 Arches National Park is most promising one destination among nature lovers.